It’s true, we have been crushing on sommelier Pascaline Lepeltier since we first heard about what she was doing at the original Rouge Tomate, and now that’s she back at the Chelsea location, we were excited to chat with her. A Master Sommelier with too many awards to name, Lepeltier grew up in the Loire which certainly explains her predisposition towards all things grape. 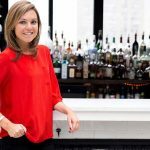 As a partner at Rouge Tomate, Lepeltier oversees an over 1,000-bottle wine list; we wanted to find out more about this total #girlboss. Pascaline Lepeltier, Beverage Director and Partner at Rouge Tomate Chelsea. I live in Harlem. Our new home is a landmarked building known for it's distinctive round arches (Rundbogenstil, for any architecture fans!). It was originally built as a carriage house in 1864 by Elisha Brooks (of ???? @brooksbrothers ). We are so happy to be in a building with such history! I started late, after studying philosophy. I had a summer job at a catering company to make a little money, and I loved it. I went on to do a Master in Hospitality Management and got more and more into wines, so I went for a specialized diploma to become a sommelier. My first job as a sommelier was in a 2 Michelin Stars restaurant in Brittany called l’Auberge Bretonne. Our awesome @pascalinelepeltier teaching a Loire Valley Wine class @yourjournee. If you're not already a Journee member, sign up and tap into the incredible pool of information and resources offered. And watch Pascaline's class online! I drink both – I love the teas of Tea Dealers, you can find them at 1 or 8 in Brooklyn. Coffee, I am a big fan of George Howell for my lighter aromatic coffee, and Intelligentsia for their single origins, especially the Geisha. Classic: Pegu Club – It was a critical place for me when I arrived in NY, and I admire the work of Audrey Saunders greatly. I also like all the places created by Sasha Petraske – and the Krystof Zizka and Joshua Boissy at Sauvage and Maison Premiere. For the newcomers Bar Goto and Mace. Best places to go on an expense account: In NYC, the Modern in the dining room, Brooklyn Fare – fantastic food, exceptional service, and for the Modern also the list with great gems. Hidden gem/hole in the wall: Racines, fantastic restaurant, still too much under the Radar. 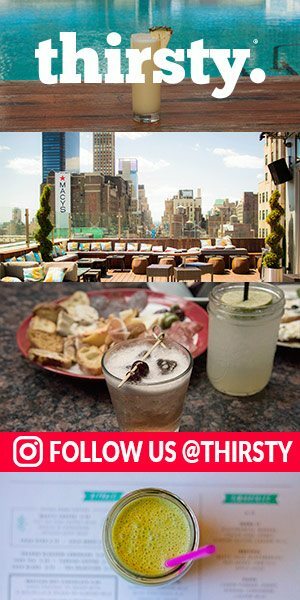 Where do you take out-of-towners for an “Only in NYC” cocktail experience? PDT & Attaboy – so unique and so great! Special shout to any bartenders or drinks makers out there that you think deserve some special love? Spill it. Shameless Plug what are you working on right now? I am finishing a book with Alice Feiring on dirt, a way to learn about wines through soil types – it will be called “The Dirty Guide to Wine.” It will be out in early Summer. It is my first collaboration, and I am excited about this!! It should be a very cool, approachable.